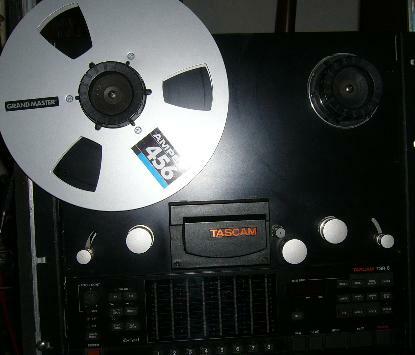 This studio equipment can be sold. Please send your questions and offers to info@voov.de . If you are seriously interested please do not forget to make your offer. Humatic's TOUCHDAW Android app = midi remote control for seqencers as Ableton Live, Apple Logic, Avid ProTools, Steinberg Cubse & Nuendo & much more. FEATURES: -24-Channel 8-Bus Analog Recording Console -Mackie's ultra-quiet, high headroom mic preamps on every channel (with phantom power for use with condenser mics) -Loads of outputs for easy multitracking -True 8-bus operation -100mm log-taper faders for consistently smooth fades -EQ: Full parametric Hi-Mid w/separate band center & "Q" controls, swept Lo-Mid, and Hi & Lo shelving EQ -Low Cut Filter (18dB/octave @ 75Hz) on every channel -6 stereo (2 assignable) Aux Returns -Extensive routing capabilities Mackie Analog 8?Bus Series mixers are the most successful in-line recording consoles ever made. They have tracked more platinum albums and major motion picture soundtracks than any other mixers in their class. Since its release in 1993, the Mackie Analog 8?Bus Series has consistently set the standard for both affordability and feature set in 8-bus consoles. They have never been equaled for sound quality and are legendary for their performance and reliability. Ultra-quiet and flexible, the Mackie 8?Bus is the definitive 8?bus console, used by more artists, groups, composers, and production facilities than any other brand. Designed to eliminate the last barrier between you and your creativitythe 24?8 mixer offers results on par with $100,000+ consoles. LOADED WITH PROFESSIONAL FEATURES When it comes to features in a recording console, the 24?8 has all bases coveredwith low-noise/high-headroom mic preamps on every channel, as well as channel inserts and direct outs. Each channel strip is equipped with Mackie's truly musical EQwith Hi and Lo shelving, fully parametric Hi-Mid, and sweepable Low-Mid EQ. And if that isn't enough, we included our Low Cut Filter, which allows you to eliminate mic thumps and room rumble from your mix on a channel-by-channel basis. True eight-bus operation and patching capability galore makes the Mackie 8?Bus Series the natural first choice among professionals the world over. MAXIMUM MONITORING CAPABILITY Mix B makes foldback monitor mixing (aka monitoring tracks from your recorder) a breeze. Other common uses include mix creation from tape while recording, feeds for additional studio headphone mixes, additional quick live mixdowns and recordings, etc. And dedicated talkback and dual phones level controls make communicating with the talent a snap. The Mix B section also features a Split switch, which splits the channel EQ between Mix B and the main channel signal. This can be really handy when you need to tweak the Mix B signal to your liking. 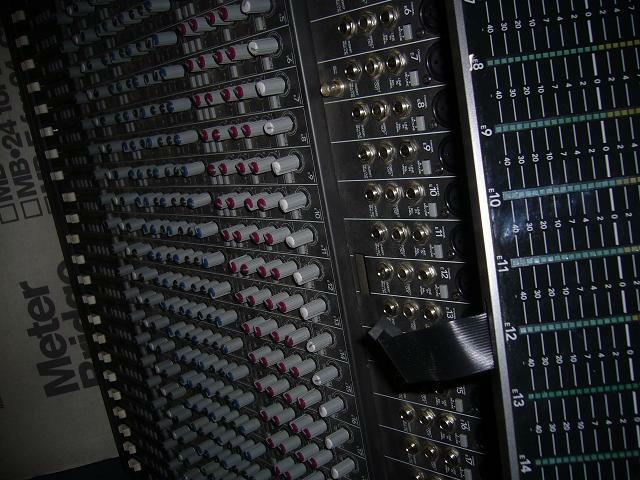 IT'S A RECORDING CONSOLE, IT'S A MIXDOWN CONSOLEIT'S ACTUALLY BOTH! When in the up position, the Flip switch allows the normal operation of the channel. All EQ is available for the incoming signal and that signal can proceed directly to your multitrack recorder. However, when the flip switch is activated, you can listen to the recorded track and start to work on a rough mix. Think of it this way: on in-line mixer, such as the 32?8, the channel fader controls the level sent to tape while tracking (Flip switch UP), but when mixing (Flip switch DOWN), the fader controls the level sent to the main mix bus. This feature is especially handy if you are on a tight schedule, as you quickly can go from one mode to the other. ATARI ST 1 MB, incl SW Monitor ? YAMAHA TX 802 OK TX802 is a "canned" DX7-II with multitimbrality added. It also features 8 individual outputs. ROLAND D110 OK The D-10 is a Digital Linear Arithmetic Synthesizer and the D-110 is its upgraded rackmount version. http://www.humatic.de/htools/ChainGang.htm low cost but professional software tool for frame accurate full screen video synchronisation to your midi sequencer and for cool multi screen video installations with unlimited number of synced machines.